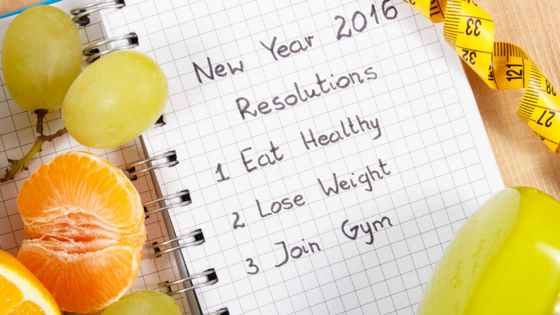 Did your New Year’s resolution involve your health or weight? If so, don’t worry, you’re not alone. In fact, the top New Year’s resolution this year was to lose weight, followed by getting organized, spending less and saving more, enjoying life to the fullest, and staying fit and healthy. The fact that two of the top five resolutions involve health or weight speak volumes about the importance Americans place on getting in shape, and using the new year to focus on doing just that. One of the first things people with health-related New Year’s resolutions do is join a gym, but now what? Knowing how to navigate the undoubtedly intimidating landscape of a brand new Arlington or Bedford gym – especially for novice gym-goers – can be stressful in itself. This is why we encourage you to take a step back and make sure you are comfortable in your new surroundings before going full throttle. Unfortunately, only 8 percent of people actually achieve their New Year’s resolutions, which is bleak to say the least. In order to set yourself up for success and turn your healthy resolution into a habit, it is important to find out what works best for you. If your goal is to lose weight, there are a ton of wonderful, beneficial group classes at both our Arlington and Bedford locations that will help you do just that. Keep in mind that, whatever your weight loss exercise goals are, the key to efficient weight loss is to change things up. This means vary the type of workout, vary the time of day, vary the intensity of the workout, and vary the duration. In doing so, you will have a much better chance of sticking with it and not getting bored. In order to help you achieve your weight loss goals in 2016, we thought it would be helpful to look at some of the best classes for weight loss. Remember, every body is different and it is important to not be too hard on yourself, especially in the beginning. To learn more about our Bedford and Arlington group class offerings, check out our classes here. One of the best group classes for weight loss is Bootcamp, which is offered at both Fitness Nation locations. This high-energy class combines strength training in order to tighten and tone your entire body, all while burning serious calories. Another popular and effective class for losing weight – and fast – is kickboxing. Not only will you feel strong, confident, and sore after completing an intense kickboxing class, but you will be shocked at how fast the class goes by. You can expect to endure intense three-minute intervals where you will jump rope and do other intense workouts. Often referred to as spinning, our cycling classes are an excellent way to get in shape, without getting bored. Set to high-energy music, cycling classes use stationary bikes that are designed to accommodate any fitness level. These classes will help you build endurance and strength through intervals and varying levels of intensity, allowing you to customize your workout experience. Other examples of group classes that will help you lose weight include Zumba, BodyPump, Pilates, and Pound. To learn more about what you can expect from our 24-hour luxury fitness gym, please visit or call either our Arlington or Bedford location.